This analysis reviews historic and political-background aspects in the extradition of political prisoners in Sweden, and revisits the risks as whether Swedish authorities would further extradite their prospective prisoner Julian Assange – already accused by high-profile U.S. politicians of being a terrorist. It is also about the remissive attitude by the part of Swedish government officials regarding the practice of Torture. Namely, this is not solely referred to the episode in which Sweden severely violated with U.S. help the United Nations’s Torture Absolute Ban, but finds correspondence in Sweden’s long-time record of Human-Rights infringements in these regards. For instance, this article review Swedish precedents during and after Word War II – when the Swedish government also violated the Hague Convention, by enforcing the extradition to the former Soviet Union of three thousand soldiers-refugees that have fled to Sweden from the Baltic countries after the Soviet invasion to Finland [see picture at right of a rendered Baltic refugee]. Sweden had also rendered or deported to the Soviet Union over two thousand P.O.W. – refugees in Sweden – which fled to Sweden from German camps. Most ended in the Gulag prisons. 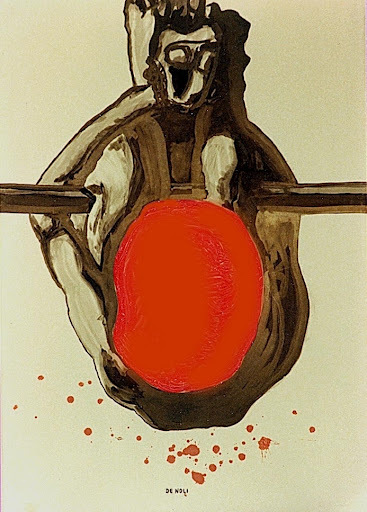 I further remark in this analysis the pro-USA Swedish government’s refusal to process in 1998 the legal case that torture survivors filed for the extradition to Sweden of CIA-installed dictator Augusto Pinochet. The General was arrested then in London after a Spanish Court request by Judge Baltazar Garzon. My legal action against dictator Augusto Pinochet aimed to obtain his extradition to stand trial in Sweden, Norway or Europe for the torture and injury sequelae that forces under his direct command (DINA) inflicted to hundreds former political prisoners living in exile in Sweden, or the assassination of their family members. This article is also about the similarities found in the judiciary politically/ideologically appointing-system between Sweden and the Pinochet regime. And finally, it is about the Swedish government’s discussible judgement shown in their case against the WikiLeaks founder of WikiLeaks – an organization devoted to disclose human rights abuses internationally – when choosing a lawyer known for have declared, “Torture is not international crime“. Needless to say, it is about the very same lawyer who defended torture-perpetrator and mass-murdered Augusto Pinochet upon the very same Supreme Court in London. In the discussion – mainly focused on legal aspects – around the extradition process of the founder of WikiLeaks Julian Assange, meaningful political factors tends to be overlooked. This is detrimental for understanding the case’s background in a larger-perspective, and for identifying causes from which such “legal” process may derive. It is revealing by it self that Sweden’s political rulers still perform in the media as if there exist ground for a “legal” case. Obviously there is no legal case: A) incongruences in the investigation have been explained in detail, B) conflicts of interest in the police interrogations exposed, and while every report points that “new” evidence does not exist beyond the known coordinated self-testimonies of the two accusers, which C) already proven juridical insufficient; facts motivating the first prosecutor (Eva Finné) what is the only feasible: close the case. . . Until it was reopened at instigation of the Bodstrom & Borgström law-firm (both of them top social democratic politicians), and by another prosecutor (Marianne Ny). The breaking news about former Justice Minister Thomas Bodström – taking pride as main partner in the law firm instigating the reopening of the case against Assange – was given in the Professors bloggarticle “The Swedish political crusade against Assange and Wikileaks” of January 11, 2011 [also in Newsmill]. Thomas Bodström is a top Swedish politician signalled as deeply involved in the secret transactions with the CIA for the extraordinary rendition of political prisoners in Swedish territory – suspectedof terrorism – to be airborne for torture elsewhere at the discretion of the U.S. authorities. Bodström is highly praised in Sweden by both the wright-wing media and his party, the social democrats. He is member of the Brotherhood, the Christian social democratic group whose political secretary was one of the Assange accusers at the time of the reopening of the case –- done at instigation by Bodström’s partner in their law-firm, the social democratic politician Claes Borgström, as declared by himself in the Guardian. Besides, as also this article demonstrates, the deplorable behaviour shown by the Swedish PM Göran Persson and his Justice Minister Thomas Bodström in the reported illegal collaboration they had with CIA during the famous extradition episode (the extraordinary rendition of the two Egyptian refugees in Sweden, that occasioned sanction against Sweden by the united Nations) is not an isolated act. It is instead an established element in the Swedish rulers’ tradition — as the historic facts depicted here show. All this tells against the naïve declarations of PM Reinfeldt on that the extradition of Assange to the U.S. will in that case follow the book. Historical and modern precedents tell otherwise. Further, some other peculiar characteristics of the Swedish political and legal system – highly relevant to this case – are still disgracefully neglected — while the world’s public opinion awaits with confidence the judgment of the UK Supreme Court in reference to a request from a supposedly “peaceful and neutral” Sweden. The truth being, nevertheless Swedes at large are amiable, peaceful and dignified, some top politicians of this and previous governments are instead way far from a Neutrality stand, and have shown unequivocally in the last years – particularly since the government of Göran Persson / Thomas Bodström – their servile geopolitical posture, negotiating away the Nation’s interests, behind the back of the Swedish people, on behalf of NATO warmongers and corporative business. This is set partly against the democratic exercise of our liberties, as well as against the economic development of poor nations. Does the Swedish rulersrepresent in these matters the sentiment of the Swedish people? In a highly publicised speech by Joseph Stalin of August 16, 1941, the Soviet dictator categorized all (Russian) soldiers that have been – or would be captured during the war – as “traitors to the country”. Further, a special rebuilding of the Gulag complex was ordered in 1945 for the purpose of allocating such “traitors”. The Swedish authorities unequivocally knew this at the time they sent to imprisonment the former Russian P.O.W. Many of these captives have fled German camps to “neutral” Sweden for political asylum. Exact figures as how many Russians were in Sweden, as refugees by the end of War World II is not known, at least not stated publicly. Kenth Olsson estimates that of the 100 000 refugees at that time in Sweden, “34 000 were regarded by Moscow as Soviet citizens, and with the demand they should be returned to the Soviet Union” (Sovjet läger i Sverige, Populär Historia, 14/3 2001). Of those, around 30 000 corresponded to Baltic civilians; over the half among the 4 000 Russians refugees have been soldiers in the Red Army which have fled to Sweden after being confined in German camps. 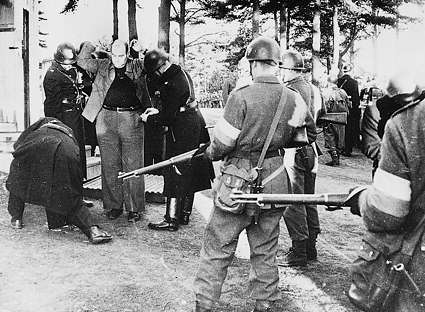 In fact, in 1945, after Hitler’s defeat, thousands of Russian prisoners fled German camps to Sweden. The above is also consisting with figures at a hearing in the Swedish Parliament (Interpellation 2001/02:12 Riksdagen) mentioning a number of 4 000 Russians having fled to Sweden [Note 13 Feb 2012: the content of this link at the Swedish Parliament site – http://www.riksdagen.se/- has been removed]. The Swedish state television acknowledged also in a report of December 1, 2008 that 2 500 among those former P.O.W. in German camps were further held in Sweden after the war, among other in three prisoners camps in Skinnskatteberg: at Baggå farm, boarding-house Udden by Bagg bridge, and Krampen. If the reader would care to visit the Wikipedia article with Skinnskatteberg’s history [here], will not find any single record of such important historic events. Information about those camps, with pictures of the referred events at the epoch, is instead scattered in private documentation found in Interned sites and a hand few articles. There is also a book authored by Hans Lundgren, “Krampen – Russian camp in Sweden during World War II” [Krampen – ryssläger i Sverige under andra världskriget, Västmanlands läns museum, 2008]. 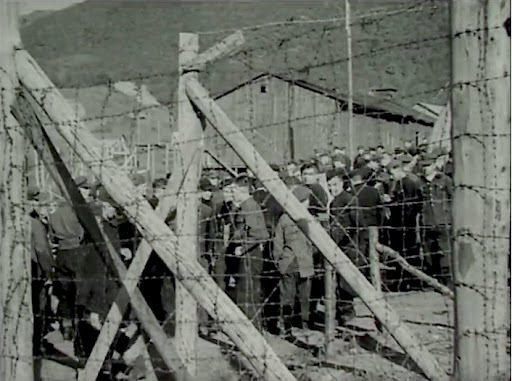 By the same time, in Norway, Sweden even established a sanitary post occupying a former field hospital set up by the Germans in Fauske (Northern Norway), according to a Swedish propaganda documentary of the epoch. However, all those efforts done by the soldiers-refugees – amid malnutrition and exhaustion – escaping desperate from Germany camps or transported from Norway with dreams of freedom in neutral Sweden, resulted in vain; and all their hope and trust in the Swedish government, vanished and converted in the worst imaginable nightmare – viewed from a political refugee perspective: Sweden decided help the mass-renditions of Russian refugees to the Soviet Union, former prisoners of war by the Germans – after the “repatriation” petitions done by the Communist government of Josef Stalin. In fact it was the case of political refugees to whom the possibility of political asylum in Sweden was never the question. A main bulk of the mass-renditions took place October 10, 1945 in the port of Gävle. In a secret operation (same fashion than the Egyptians case of recent years) 900 prisoners were hustled into two Swedish ships, the Örnenand the Wargo, in a military operation “in cooperation” (i samarbete) with the Soviet personnel. Swedes were not allowed to take photographs. Other successive renditions of Russians took place in Bergslagen, from where – according to Kaa Eneberg’s “Ur den glömda historien – När Sverige skickade Ryssar till Stalin“ [Svensk tidskrift, 6/2-2009] – 2 500 soldiers/refugees were transported to the Soviet Union via Finland. The same reports quoted above stresses that the refugees never were given the chance as to individually take a decision for staying in Sweden. In concrete, they were never offered political asylum, neither given them the actual possibility of seeking such asylum since Sweden keep them collectively confined in camps supervised –- or, as in Bergslagen, “at large” under Soviet authority, meaning commanders, political commissars and personnel (see also Baggåand Lissma. See further below). There is apparently no major documentation or public photographic material related to the Russian P.O.W. human-rights scandal in Sweden after the war. The authorities, according to reportage in Arbetarbladet, would have destroyed this material December 24, 2008 (“Escaping Russians concentrated in Hagaström“). The two pictures above: Russian P.O.W. in the Faulke camp, where the Swedish military ran a hospital abandoned by the Germans. 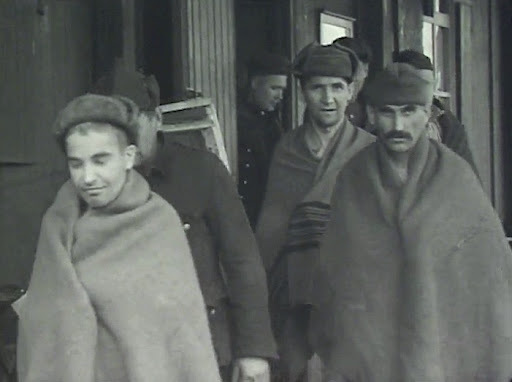 These prisoners were afterwards extradited from Sweden to the Soviet Union after repatriation requests from Stalin. These repatriations “cannot be considered voluntary”, although officially it was reported otherwise. There are no photographic materials of the Russian prisoners interned in Swedish camps – formerly in German P.O.W. camps. I took these shots from a documentary at the Swedish Film Institute. The Baltics’ extraditions (known in Sweden as “Baltulämningen“) enacted by Sweden at the request of Dictator Joseph Stalin in 1946, is another shamful chapter in the history of Swedish political extraditions at request of foreign powers. When the requests for extradition became known, the uninformed press put forward the exactly same arguments which they do now in minimizing the risks for the Swedish extradition to the U.S. of Julian Assange: It cannot happen, Sweden is a neutral country, peace and non-violence abiding, they will never send to torture and imprisonment at the Gulag archipelago refugees from neighbour countries which have come to Sweden for political refugee in freedom. Besides, Sweden is a “law abiding” country and such extradition requests had no ground in the Hague Convention of 1906. Suicide fatalities in connection to extraditions threats and the harsh Swedish behaviour in these regards are still common in Sweden among political refugees and foreign-born immigrants. In 1997, while at Harvard Medical School, I published in Acta Psychiatrica Scandinava the epidemiological article “A cross-cultural breakdown of Swedish suicide” demonstrating the high statistical overrepresentation of such fatalities – particularly Russians – among foreign-born (former P.O.W, refugees and immigrants) in comparison with native Swedes. Later, in Journal of Traumatic Stress, I demonstrated the relationships between imprisonment/torture, PTSD and suicidal behaviour. What do the Swedish health authorities, and the Swedish academia – for instance professor-colleagues at Karolinska Institutet or other Swedish universities – care about these findings when describing the epidemiology of Swedish suicide? Perhaps they do but they will say nothing, at the contrary. They have silenced the findings fearing it would be detrimental for Sweden’s good international prestige. Read here.